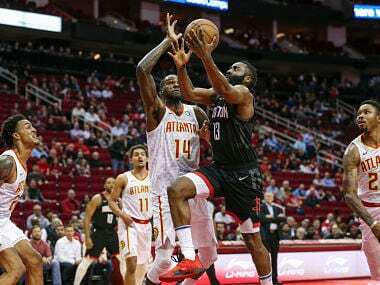 James Harden missed all 10 three-pointers he attempted, snapping his 32-game streak with at least 30 points as the Houston Rockets defeated the Atlanta Hawks. 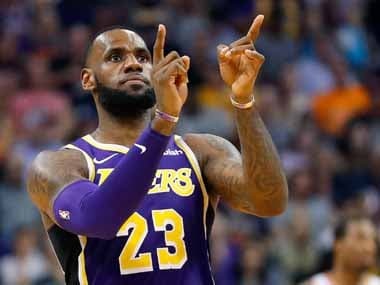 LeBron James rejected suggestions on Thursday he was the driving force behind the rebuilding of the Los Angeles Lakers after a week of intrigue surrounding the franchise's attempts to lure Anthony Davis from New Orleans. 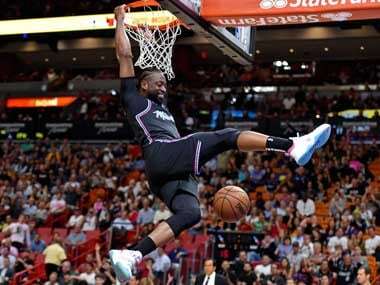 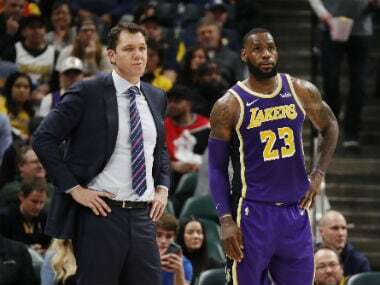 LeBron James joined a select group of NBA players to score 32,000 career points but nevertheless endured the most lopsided defeat of his career on Tuesday as the Indiana Pacers routed the Los Angeles Lakers 136-94. 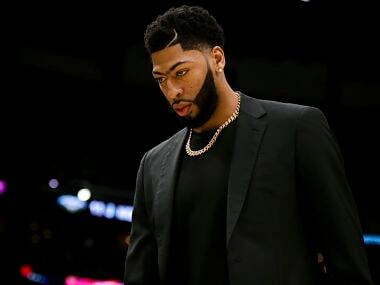 The Los Angeles Lakers have withdrawn from negotiations with the New Orleans Pelicans over Anthony Davis after complaining about 'outrageous' trade requests. 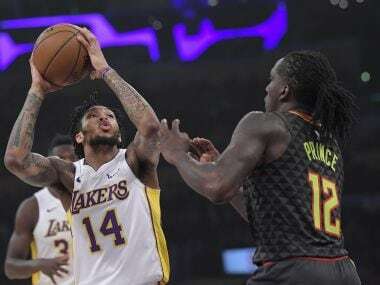 Young stars Brandon Ingram and Lonzo Ball answered Los Angeles coach Luke Walton's call for more fire as they lead the Lakers to victory over the Mavericks. 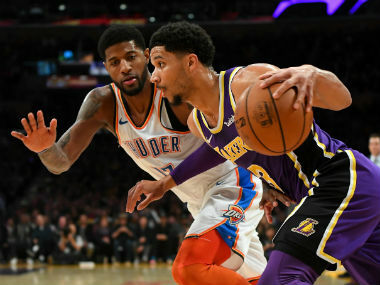 Paul George shrugged off a chorus of boos to score 37 points and lead Oklahoma City Thunder to a 107-100 victory over the Los Angeles Lakers at the Staples Center on Wednesday. 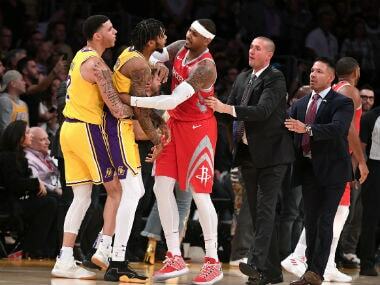 The NBA came down hard on Los Angeles Lakers forward Brandon Ingram Sunday, suspending him four games while banning teammate Rajon Rondo three games and Rockets guard Chris Paul two for their roles in a fourth-quarter melee. 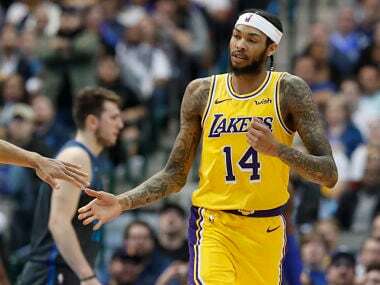 Brandon Ingram scored 20 points to lead the Lakers, who hadn't won a game since a 20 December victory over the Houston Rockets. 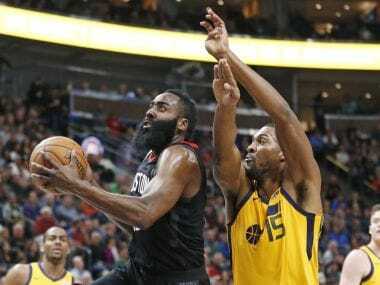 Jazz twice managed to take the lead in the first half — but both times the Rockets powered back in front.